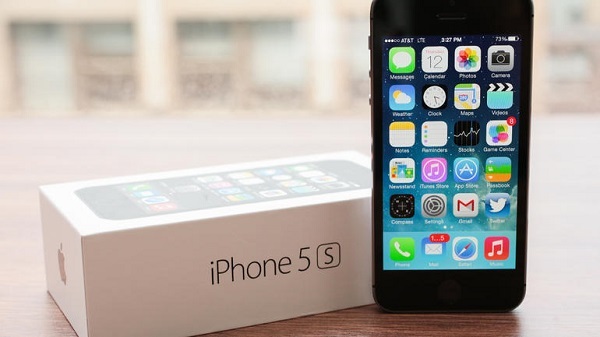 Welcome to the 4th part in our series of troubleshooting articles dedicated to the Apple iPhone 5S. Ever since we published the first part in this series we have been receiving several emails from our readers seeking help regarding their device. In this part we will be dealing with some of the recent emails sent to us. Most of the issues we will tackle today are minor in nature while others require a series of troubleshooting steps to be done or even worse, a trip to an authorized service center. If you own an iPhone 5S or any other iOS device for that matter feel free to email us at [email protected]. We will be more than happy to help you with any concern that you may have with your device. This is a free service we are offering to our readers with no strings attached. What we do ask though is that when you do send us an email try to be as detailed as possible so that we can make an accurate assessment and the right solution can be given. Problem: Hello, I’ve been using this phone well for a month now, but on a trip from outside the country, I can no longer receive any signals. It was working ok here at home, and then when I landed in my destination outside of the country and I turned off Flight-mode, it has not been able to find a I’ve tried plenty of hard resets, soft resets, reinstalling SIM cards, etc, but still no luck. It works on Wifi fine. Now I’m back it still does not work. Please help. Solution: The first thing that you should do is to try to contact your network provider and inquire if the SIM card you are using is still getting service. Once you have verified that the SIM is active it’s time to start the actual troubleshooting process. Try to take out the SIM and check it for any physical damages (e.g. scratches on its gold plate). If you have another SIM that is known to work try to insert it in your phone and see if you can get a signal. If there is a signal then replace your old SIM with a new one. If you still can’t get a signal listed below are the steps that you should do as suggested by Apple. Test your phone after performing each of the steps. Toggle airplane mode: Tap Settings > Enable Airplane Mode, wait five seconds, then turn off airplane mode. Turn your iPhone off, then on again. Remove the SIM card and verify that it’s a valid, carrier-manufactured SIM. Also verify that it isn’t damaged, worn, or modified. Then reinsert it. Check for a carrier-settings update. Connect to a Wi-Fi network. Then tap Settings > General > About. If an update is available, iOS will ask you if you want to install it. If Wi-Fi isn’t available, connect your device to iTunes. Reset network settings by tapping Settings > General > Reset > Reset Network Settings. This will reset all network settings, including Bluetooth pairing records, Wi-Fi passwords, VPN, and APN settings. Problem: My camera is not working when I press on it. It open and closes directly. With what’s app I can take a picture but only front camera. I have restarted many times Even a general reset of the phone still same issue. No software update missed or damages. Screenshot with the assistive touch working also. By the way the camera app closes right away not even a chance to see anything .Hope this is the right description and if anybody can help. Solution: Did you install any new apps when this problem occur? This could be causing the camera problem that you are having right now. You can also try installing a third party camera app and see if your camera works with it. If it does then it’s your default camera app that has a problem. Anyway, below are the troubleshooting steps that you should do for this kind of issue. If the screen shows a closed lens or black image, force quit the Camera app. If you do not see the Camera app on the Home screen, try searching for it in Spotlight. If the camera does not show up in the search, check to make sure that Restrictions are not turned on by tappingSettings > General > Restrictions. Ensure the camera lens is clean and free from any obstructions. Use a microfiber polishing cloth to clean the lens. Cases can interfere with the camera and the flash. Try gently cleaning the lens with a clean dry cloth or removing the case if you see image or color-quality issues with photos. Try turning iPhone off and then back on. Tap to focus the camera on the subject. The image may pulse or briefly go in and out of focus as it adjusts. If your iPhone has a front and rear camera, try switching between them to verify if the issue persists on both. Problem: My iPhone 5S mutes itself during calls. It also selects Face Time and the speaker phone function periodically; however, it mutes phone calls on a daily basis. At first I thought the issue was a screen protector that I put on my phone; however, after removing the screen protector from the area where the sensor is (by the speaker on the top part of the phone below the front facing camera), it continues to mute my calls. Any ideas if this is a hardware or software issue? The issue doesn’t seem to get better or worse, it pops up the most when I use my phone for a prolonged period of time, but there doesn’t appear to be any patterns for when this happens. Everything I’ve found about this issue relates to older iPhones, which makes me think it’s an old software issue. Anyone ran into this issue or found something similar? Solution: By any chance does your iPhone 5S have a case? If it does then this may also be a factor that may cause your calls to mute itself. Try taking out the phone case and see if the issue still occurs. To eliminate any software related issues a factory reset is highly recommended. Before performing a factory reset you should back up all your data first. Use iTunes to back up your device and transfer and sync any additional content to your computer. If after performing a factory reset your phone still mutes itself during calls then you should bring it to an authorized service center since this could already be caused by a hardware malfunction. Problem: My phone is completely dead and it won’t charge. Thought it was the cable so I went and bought a new one. Still isn’t charging. I’ve tried cleaning out the port, still nothing… I charged it the other day and it worked fine. Until it died, now it shows that lightning thing and the red battery flashing. Solution: The first thing that needs to be done is a quick inspection of the charging ports on the phone side and your charger side. Check if there are any noticeable damages like bent pins or misalignments. Also check if there are any dirt debris present and clean it accordingly. Once you have verified that there is nothing wrong physically by visual inspection we can now proceed with the troubleshooting. Try using a different wall charger when charging your phone. For the quickest charge, connect your device to a power outlet using the USB cable that came with your device and an Apple USB power adapter. Connect your device to a USB port on your computer (not an external keyboard) using the USB cable that came with the device. Your computer must be on. There is also a possibility that the battery of your phone is already faulty. The problem is that since it is not user removable you will have to bring your phone to an authorized service center to have the battery checked and possible replaced. Problem: Hello all. I’ve been having some trouble lately; with my iPhone 5s running iOS 7.1.2, 64 gigabytes of storage. It was running completely fine until a couple of days ago, when the screen began to not react to my touch. I initially thought it was a hardware problem, but the phone has not taken any damage as far as I can tell and the screen resumes working when I restart it. The screen works, for the most part, on the right side; but from the left edge to about a centimeter in it is completely unresponsive. Occasionally, the phone will begin to act as if I am tapping it on the left side, although I am not touching it. Turning the phone on and off again provided a temporary fix, as did hard resetting it and factory restoring it, but after a few minutes of being on it becomes unresponsive again. I cannot unlock it without using the fingerprint reader due to the unresponsiveness, but once I do unlock it there is not much I can do without the left side. As far as possibilities for what this problem is caused by, I am not quite sure. I tried removing the screen protector but nothing happened, so that is eliminated. I did, however, get a new SIM card and service carrier recently, but that seems unconnected. The climate I now live in is much more humid, so that could be a problem, but a new, state-of-the-art phone like the 5s shouldn’t be having problems with that, right? Here’s hoping that it’s a firmware problem, not a hardware problem. Solution: If after performing a hardware reset the problem still occurs then there is a big possibility that this could already be a hardware related issue. What you can do right now is to check if there are any new updates for your phone and if there are install them. These updates may contain the fix to address this issue. If there are no updates then you might want to bring your phone to an authorized service center to have it checked. Problem: I’ve had this iPhone for about 7-8 months, and this started 3 weeks ago, I woke up in the morning and looked at the time on my phone, and it suddenly just turns off and turns back on showing the apple logo, and now it happened again twice!! Is there any way to fix this problem i’ve restored my phone fresh twice, no icloud no backup nothing installed, I also have 8.9 GB available. Solution: Try to check first if there are any software updates available for your device. These updates contain improvements and bug fixes that may address the issue you are facing right now. Apple suggests doing the three troubleshooting steps below for this type of issue. After performing one step observe your phone first if it still reboots before proceeding to the next step. Reset. Hold the Sleep/Wake button and the Home button at the same time until your screen goes black and you see the Apple logo. Restore. Plug your iPhone into your PC, use iTunes, and restore it from your latest backup. Restore (again). Plug your iPhone into your PC, use iTunes, and restore it as a new phone. My iphone 5 s does not receive all emails. Sometimes only 3 or 4 show up altho my computer will have 20 or more. I heard that you should hold down the off button at the top of the phone while holding the on button at the bottom of the phone at the same time until the phone turns back on. This has worked on occasion, but more often than not, my phone is not receiving all of my emails. Everything else on the phone works perfectly. I have an iPhone 5s and had put an Optus SIM card in it, it worked fine. I then put a telstra card in it and it too worked fine. Telstra prepaid options were a bit expensive for me so I went back to Optus. Now my phone tells me my Optus sim is invalid. I had it checked inspire at telstra to make sure it was unlocked which it is according to them but I still can’t get the Optus card to work. What can I do? I want to use Optus.